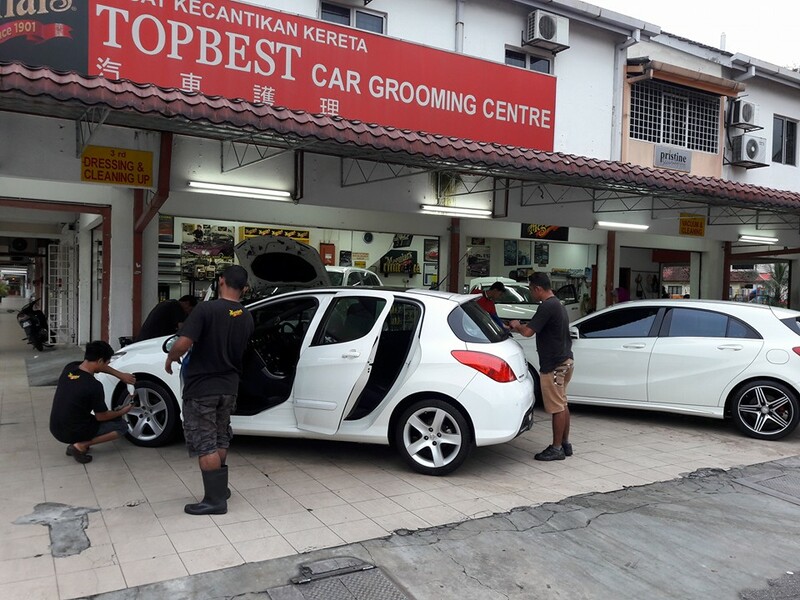 Over the years, Topbest has built up a reputation as a reliable, high-quality car grooming centre. We have customers from as far as Kelana Jaya and its surroundings coming to our centre at No. 135 Jalan SS19/6 Subang Jaya for professional car grooming service and detailing and protection to their car interior and exterior. They are assured of high quality products used on their cars (we are an authorized dealer for Meguiar’s products) and high level of competency and experience of our workforce. Coupled with our affordable prices to cater to the different needs and requirements of our customers, they find it re-assuring sending their prized vehicles to us for grooming services. We assure you of the highest quality service when you send your car for grooming service at our centre. Do not be surprised when you leave our centre you may even have a car of showroom quality.